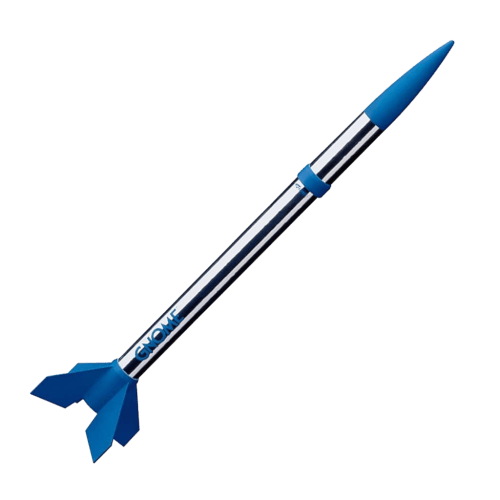 An eye dazzling chrome rocket that soars to 800 feet on Estes mini engines! The Gnome comes with a colored body tube and one piece fin unit for quick assembly. Be ready to launch in less than hour!